Paolo Salvadeo, General Manager of the El.En Group, is available to offer his laser technology, to return the original white color to the iconic Agra’s masterpiece. “Contacts started with Government already in 2016, but we never received answers”. The El.En Group in aid of the Taj Mahal. The Made in Italy colossus of lasers is available to take back to its original splendor the facade of the world famous muslim mausoleum, which, due to pollution and insect dejections, is progressively changing color, veering towards a greenish yellow nuance. “Through a powerful laser for art work restoration, called Thunder ART, we can clean the Taj Mahal, giving back to it the wonderful white color which has always characterized the masterpiece – says Paolo Salvadeo, General Manager of the El.En. Group. During August 2016 we have been in contact with the local Government, offering to help them through the donation of one of our lasers, and of the company expertise. We are still waiting for an answer that has not yet arrived”. The appeal launched by the El.En. 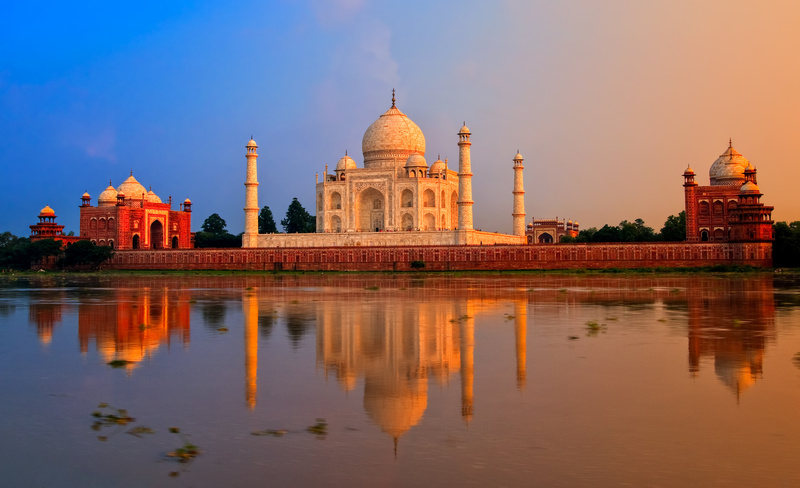 Group is spread after the recent news related to the deterioration of the mausoleum in Agra, which provoked the hard reaction of the Supreme Indian Court, according to which the Central Government of India is not doing enough to preserve the iconic opera. “We are ready to make an intervention immediately – continues Salvadeo – if they are willing to accept our help. In such case we can go to India immediately, putting at their disposal our laser and providing adequate training to the Indian conservators. However, it is necessary be fast, because the status of the mausoleum is worsening”. The cooperation between the El.En. Group and the Agra’s restorers dates back to 2016, when the Italian corporation showed up in the Indian city with a powerful laser for art work conservation. At that time they were performed tests on the Radha Soami Temple, placed nearby the Taj Mahal. Some marbles of the temple, darkened by a patina correlated to the very strong pollution of the place, were taken to new life by the El.En. technicians and by some Indian restorers, thanks to the usage of the laser. Immediately after this intervention, the Archaeological Survey of India proposed to send some Indian conservators to Italy, to be trained by El.En. on the use of the laser. At the very end nobody showed up. This technology allows to clean the works of art, while respecting the valuable surfaces and the original texture. For this reason some representatives of the Agra Government, and a group of conservators of the Taj Mahal, invited the El.En. experts to visit the famous mausoleum, for a deeper diagnosis of its status. “It was in such occasion that we decided to offer, as free of charge, to the local Governemnt, one of our lasers for restoration, together with the proper training on its use – explains Salvadeo. The Taj Mahal was already showing signs of deterioration, but nobody has then contacted us any more. Our proposal has been brought forward several times by the El.En. Indian distributor, through architect Uday Nanavati, but until now nobody has contacted us. Sometimes it is extremely difficult to work with the public administrations, considering their evaluation times, and the related bureaucracy, even if you propose to donate to them very sophisticated and costly equipment, for pure philanthropy. We are still available, and we renew our appeal to save the Taj Mahal. We cannot allow that such an important masterpiece for the mankind becomes fully ruined”. Until now the only interventions which are executed over the Taj Mahal facade deal with periodic washings based on mud and clay. These actions are invasive, and not sufficient to fight against the deterioration caused by pollution and by the nasty action of insects which populate the near Yamuna river. For this reason the Supreme Indian Court has underlined the emergency lived by the mausoleum, inserted in the world UNESCO heritage and being one of the seven wonders of the modern world. Today the Taj Mahal is visited by almost 8 million people every year, most of whom are Indians. Its fame and beauty make it a work of art universally recognized. Also for this reason it is necessary a huge effort to preserve its traditional splendor. An effort which, at the light of what it is happening, cannot be delayed any more.